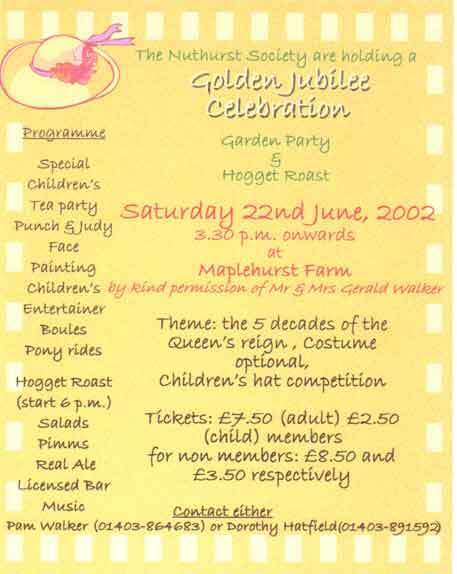 Nuthurst Society Golden Jubilee Celebrations. Janie McClean gave me this today at the MCC and plant swap. Report by Clare to follow!